Age is the silent shaper of work organizations and their human useful resource practices. It has change into a potent characteristic of how society is structured and the way it views itself. Age assumptions mould the behaviours of younger and old alike, and are used as political tools by coverage makers and managers. Organizing Age asks the perennial query - can age ever not matter? Drawing on a variety of social scientific and common writings, this e-book casts a crucial eye over the social construction and politicization of age in and past organizations. Amongst other subjects, it discusses: the historical roots of age in society; how we "perform" our age in different settings; the social influence of defining age groups as generations; ageism; the effect of an age-cluster on an organization's processes and members' expertise; the rituals of retirement and the birth of the retirement business; the impact of financial recession in difficult a few of our assumptions about age; and the rising politicization of the rising "grey" population. Organizing Age provides an accessible introduction to the current and rising themes round this topic, which might be a useful resource for college students, teachers, and coverage makers. 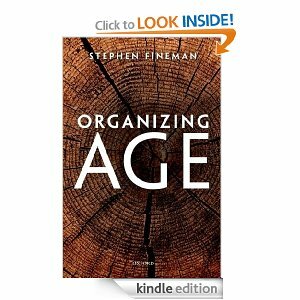 Thank you for reading the article about Organizing Age, Stephen Fineman. If you want to duplicate this article you are expected to include links http://helpdesksoftwarepdfebooks.blogspot.com/2013/08/organizing-age-stephen-fineman.html. Thank you for your attention.